Locally, more than 120 turkeys and nearly 800 pounds of nonperishable items were collected during the two-week drive, which ran from November 2 to 16. 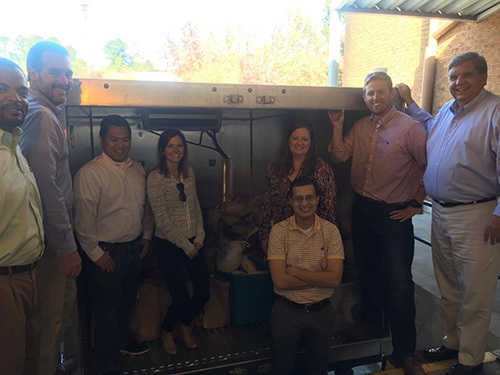 Atlanta team members delivered the items to the organization to distribute to families in time for the holiday. In Atlanta, the Thanksgiving Drive benefitted MUST Ministries, a volunteer-driven organization that addresses the basic needs of individuals, families and children with facilities in the Cobb and Cherokee counties and programs in numerous other counties. Team members from David Weekley Homes donated nearly 800 pounds of canned and nonperishable food items to MUST Ministries to benefit families in need.